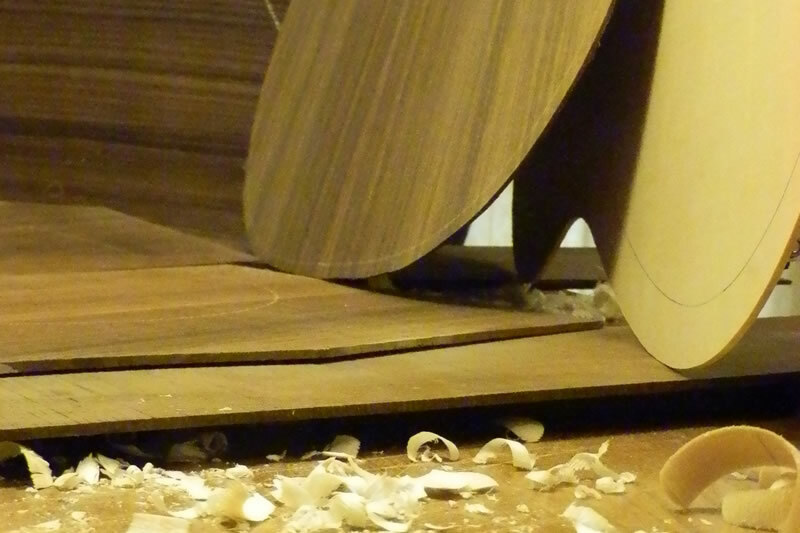 The first essential step in the manufacturing of a musical instrument is the choice of wood. The quality of the material is crucial to get a prized instrument and of superior quality. For this reason, the Falaschi lutherie uses only the best woods selected over the years to make instruments with the care and attention that only the manual processing can provide. The wood must be seasoned, that does not mean dry. If left in the open air the wood dries in two years. The seasoning process is instead far more long a process which requires at least 10-15 years, during which a transformation of the structure at the cellular level occurs. For bow instruments I usually use resonance spruce and the Balkan maple. The most renowned red spruce is in the Val di Fiemme where the particular microclimate allows the trees to grow slowly and regularly giving the wood technological strength and light weight, which are ideal for the transmission and amplification of sound. 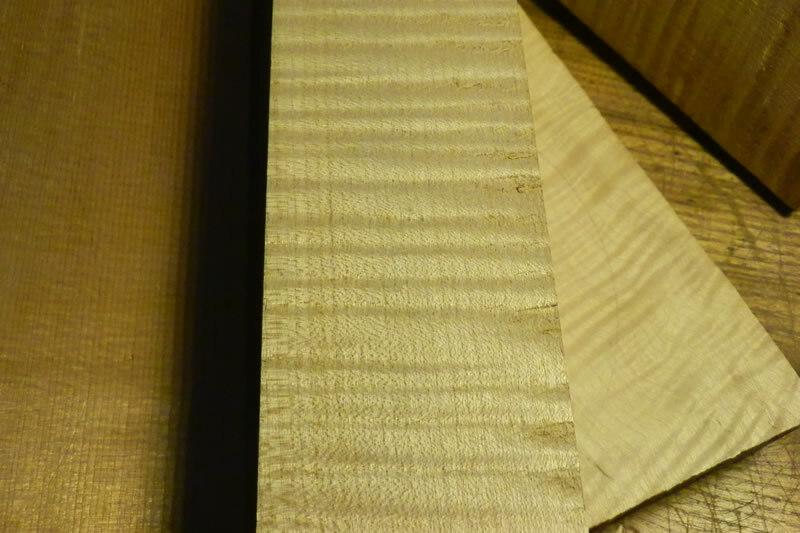 The Balkan maple is a very dense wood which gives at the same time rigidity and elasticity. Its horizontal characteristic flamed effects reflect a changing light play that makes it aesthetically unique. For the construction of the resonance body of the guitar in the Falaschi lutherie resonance spruce and cedar wood are used for the soundboard, while maple, Indian or Brazilian rosewood are used for back and sides. Woods used in the Spanish classical tradition, very hard and resistant, which however,give the sound softness and elegance. All wood that are used in the manufacturing musical instruments are radial cutting to always have the grain perpendicular to the plane and therefore a greater tempering and reactivity and propagation of vibrations.